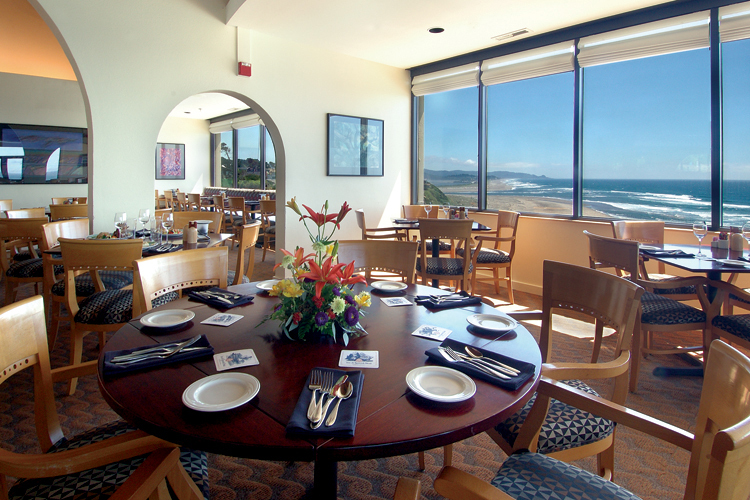 The oceanview dining room at Fathoms Restaurant is located on the top floor of the Inn at Spanish Head, ten stories above Lincoln City's oceanfront. Several restaurants on the central coast serve an ocean view with every meal. 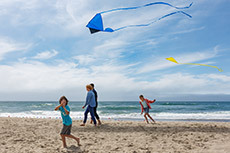 Between Lincoln City and Newport, you'll find several choices to enjoy a breakfast, lunch or dinner while taking in the view of the breaking surf, sandy beaches and dramatic coastline of the Oregon Coast. Our oceanview dining tour starts in Lincoln City and continues south, soaking up the views and flavors of the coast. 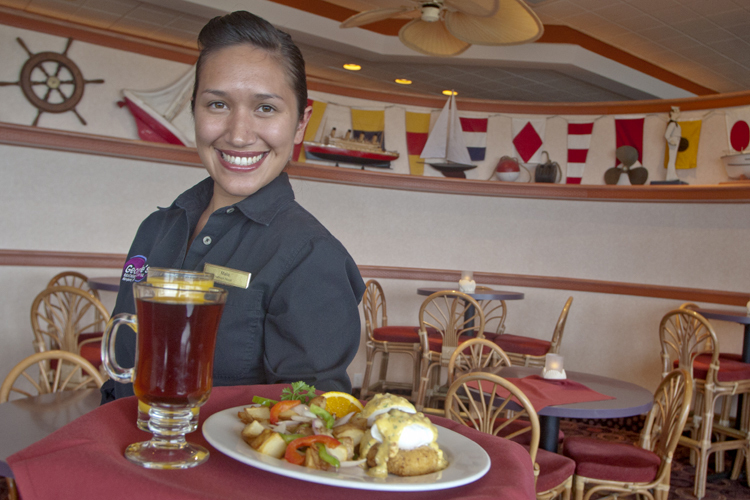 In the north end of Lincoln City, Chinook Winds Casino Resort offers two options for oceanview dining. On the top floor of the casino is the Rogue River Steakhouse with views stretching out to the north of Lincoln City. 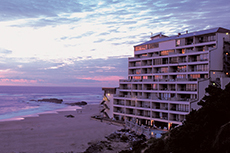 Nearby, on the oceanfront complex located with the hotel, is Chinook's Seafood Grill. At the Rogue River Steakhouse, seven different cuts of steak are on the menu including prime rib and cuts that will satisfy even the largest appetites such as a 24-ounce porterhouse and a 36-ounce bone-in rib eye chop. All steaks are served with an aromatic lavender demi-glace. 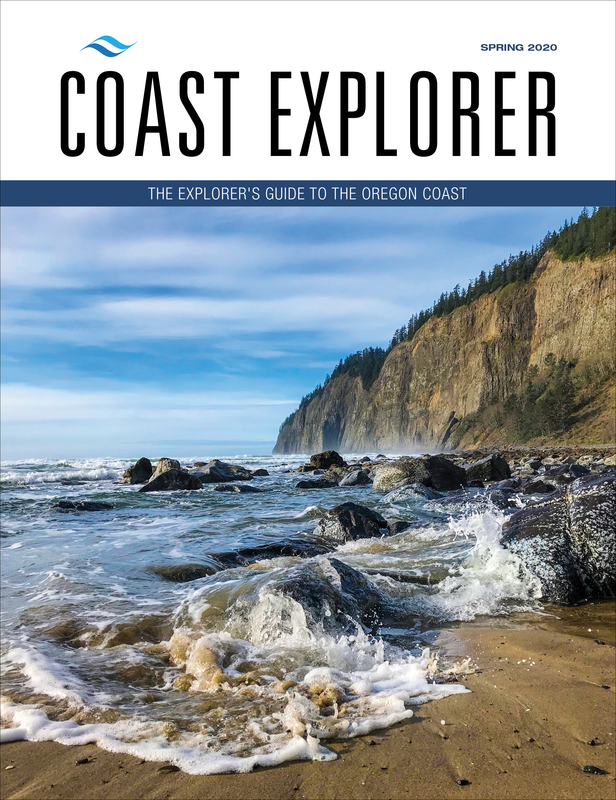 Other entrees include a corn-dusted and pan-seared salmon paired with an Oregon bay shrimp salsa and herb-crusted razor clams that are pan-seared and served with lemon butter sauce. There's also a full-pound buffalo burger with a cherry pepper aioli. The restaurant is open for lunch and dinner daily and breakfasts on Saturday and Sunday. Executive Chef Jack Strong oversees the operations and menus of both the Steakhouse and Chinook's Seafood Grill located nearby in the oceanfront hotel complex. 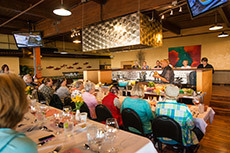 Strong is a James Beard-nominated chef who brings his culinary experience from several five-diamond restaurants in Washington and Arizona to Chinook Winds. 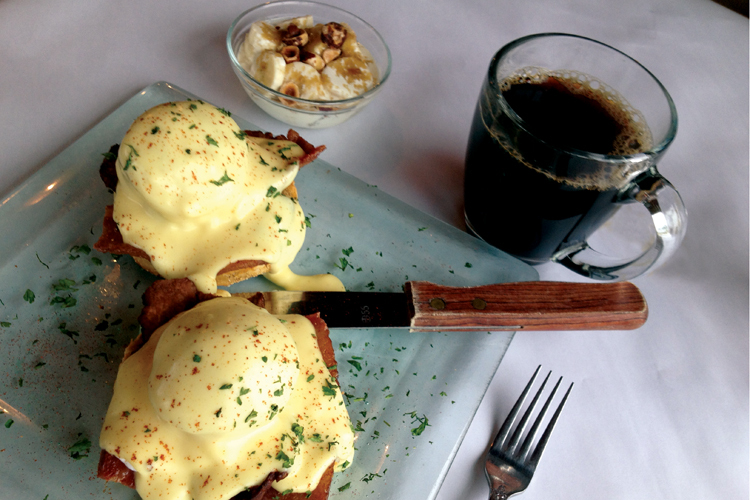 Chinook's is located right on the oceanfront and serves breakfast, lunch and dinner daily. Salmon, razor clams, rockfish, lobster and scallops are among the seafood items on the dinner menu. Salmon is herb-crusted and pan-seared topped with Dungeness crab and a rich B√©arnaise sauce. Scallops are fennel pollen dusted and pan-seared with a tarragon butter sauce. Steaks, pasta and sandwiches round out the dinner menu. Next to the active D River wayside in central Lincoln City, you'll also find oceanfront dining at Kyllo's, serving lunch and dinner. The restaurant is designed nicely to offer views from every table and the lounge. Seafood choices includes salmon that can be ordered blackened with a Cajun tomato butter drizzle, or char-grilled with a lemon butter drizzle. Halibut is topped with Dungeness Crab, macadamia nuts, diced tomatoes, Parmesan and is served with a sherry basil clam sauce. Ocean view is an understatement at Fathoms Restaurant & Bar, located in the Inn at Spanish Head in the south end of Lincoln City. Perched ten stories above the beach, the restaurant offers panoramic views with miles of coastline visible from the penthouse dining room. Fathoms is open for breakfast, lunch and dinner, as well as offering an oceanfront lounge. 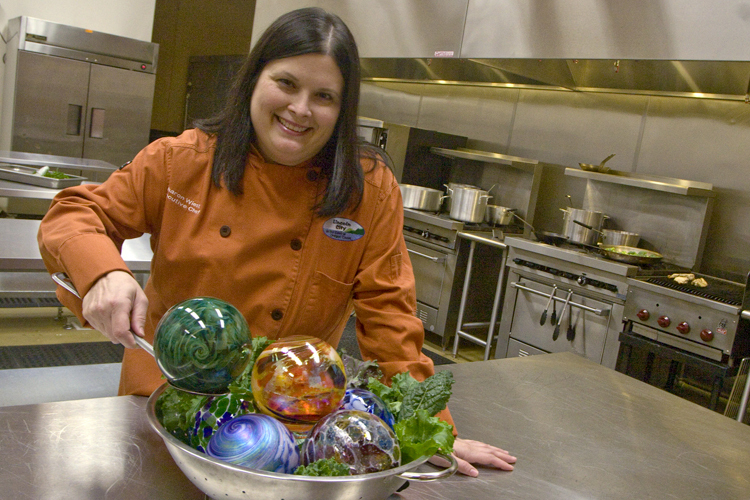 The dinner menu focuses on steaks and seafood with the kitchen run by Executive Chef Kenneth Martin, who recently returned to Fathoms after spending eight years as executive chef at Salishan Spa and Golf Resort in Gleneden Beach. I enjoyed the coconut and macadamia nut crusted cod that is pan roasted and served with a mild coconut curry sauce. The cod was firm and delicately flavored. 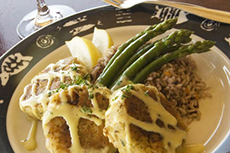 Crab cakes on the appetizer menu are mostly tender moist crab that come with a sweet mustard sauce. Other seafood items that may tempt you include a Moroccan spiced snapper with harissa, cinnamon, preserved lemon and white wine. A cedar-wrapped salmon is served with a porcini, champignon and morel mushroom pesto. Four different cuts of steaks are offered, along with a bone-in grilled pork chop. 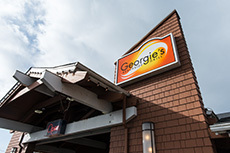 The bar has its own menu that includes several small plates, a burger, fish and chips and seafood cocktails. In Depoe Bay, Tidal Raves feels precariously perched over the crashing waves on the north end of the town's sea wall. The restaurant is open for lunch and dinner with an emphasis on seafood on the dinner menu. The flavors of international cuisine are woven into dishes like the halibut in green curry and scallops that are sesame encrusted, seared and served with a spicy peanut dressing. Just south of Depoe Bay, Restaurant Beck clings to a cliffside above scenic Whale Cove. With chef and co-owner Justin Wills in the kitchen, the restaurant emphasizes seasonal and regional cuisine in an intimate setting with three, five, seven or nine course tasting menus that change regularly based on what's fresh from local fishing boats, foragers and small Northwest farms.